ASUS Republic of Gamers (ROG) announces its partnership with Activision for the anticipated launch of Call of Duty: Black Ops 4 for PC. Starting September 10, 2018 and October 12, 2018, ROG will be the first digital provider of Call of Duty bundle licenses: Back Ops 4. Consumers can access the game during the promotion by purchasing an eligible ROG product. Dedicating to PC gaming enthusiasts, Call of Duty and ROG teams worked closely together in a unique collaboration capitalizing on AURA Sync technology across multiple product lines. 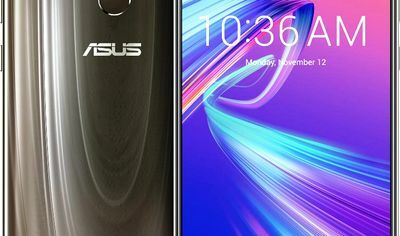 “ASUS Republic of Gamers and Activision have enjoyed great success over many years on their market segments, and we are delighted to work together,” said Vivian Lien, head of Global Marketing for Gaming within the Republic of Gamers and chief marketing officer at ASUS North America. ROG has worked with Activision to integrate the customization capabilities and effects of AURA Sync into Call of Duty: Black Ops 4 for PC where compatible devices exist. AURA Sync coordinates colors and effects with RGB-lighted-compatible products such as desktops, headphones, keyboards, motherboards, notebooks and mouses, along with others, making it easier to personalize and set up the game for a consistent look and feel that reflects personality player or game feeling. With the integration of AURA Sync into Call of Duty: Black Ops 4, the action of the game triggers the RGB light effects to improve gameplay, reflecting the intensity of the game through the computer and user’s peripherals, creating a more engaging experience. Customers who buy an eligible product during the promotion period from September 10th will receive access to the Digital Standard Edition of the game. 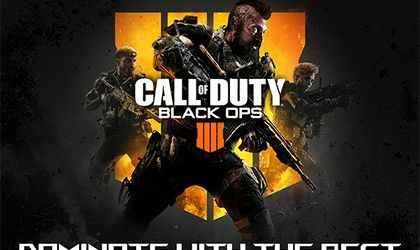 For up-to-date information, including the list of products eligible for the Call of Duty: Black Ops 4 package, store links and clearing information, please go to: /www.ROGxBO4.com. As for the eligible ASUS ROG systems, they bring together Windows-equipped laptops and video cards starting with the Nvidia GeForce GTX1060: ROG ZEPHYRUS (GX Series), ROG ZEPHYRUS (GM Series), ROG G703, ROG STRIX GL703, ROG STRIX GL704 , ROG STRIX GL504 and desktop PCs: ROG STRIX GL 12, ROG G21.